Nothing is as satisfying as watching a marble run through an intricate machine. What’s even better if you’re able to craft that marble machine yourself. Without needing to make it your life project either. Meet Marbleocity. 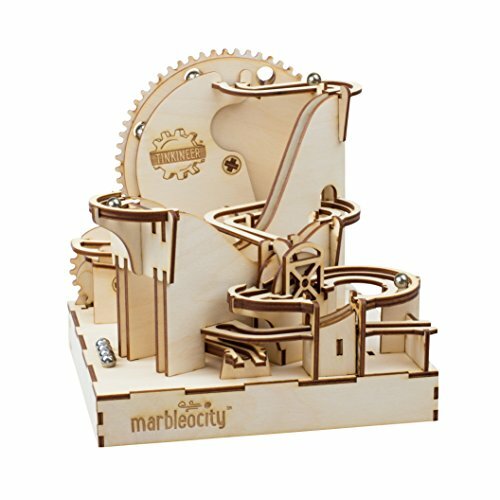 Marbleocity is a wooden rollercoaster building kit with which you can build a kinetic sculpture for marbles to run through. With help of a playful assembly manual in graphic novel format, kids will explore STEM concepts and make their own marble machine. The kits consist of pieces of wood and the only thing you’ll need is some white glue to put it together. Check out the video of one of the large kits (the Dragon Coaster) below. Where can I buy the Marbleocity marble machine kits? The Marbleocity products are made by Playmonster who sell their products on playmonster.com and Amazon. Check out any of the product links below to learn more.